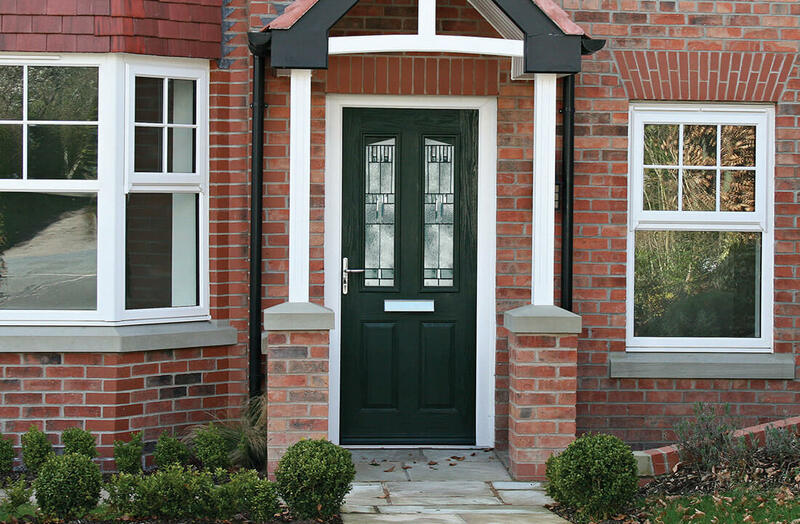 Constructed from a fibreglass exterior, a solid timber core and various hardware, composite doors feature all the style, sophistication and practical qualities any homeowner could want. Highly customisable, you can alter their looks so they’re perfect for your home. The UK’s leading entrance door available to you in a way that suits both your budget and style of your St Albans, Hertfordshire or North London home. 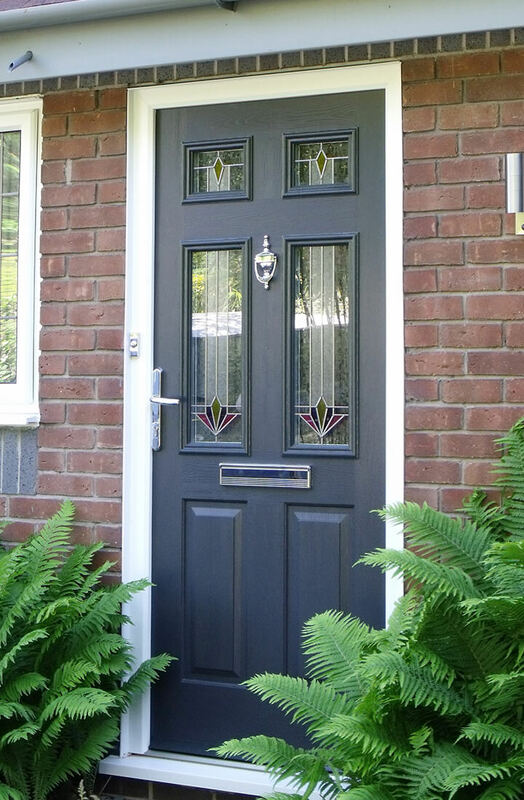 Over the last decade or so, composite doors have experienced a huge surge in popularity. Today, they make up 54% of the entrance door market. The reason why? Well, for starters they’re one of the highest performing entrance doors in terms of security, insulation and durability. 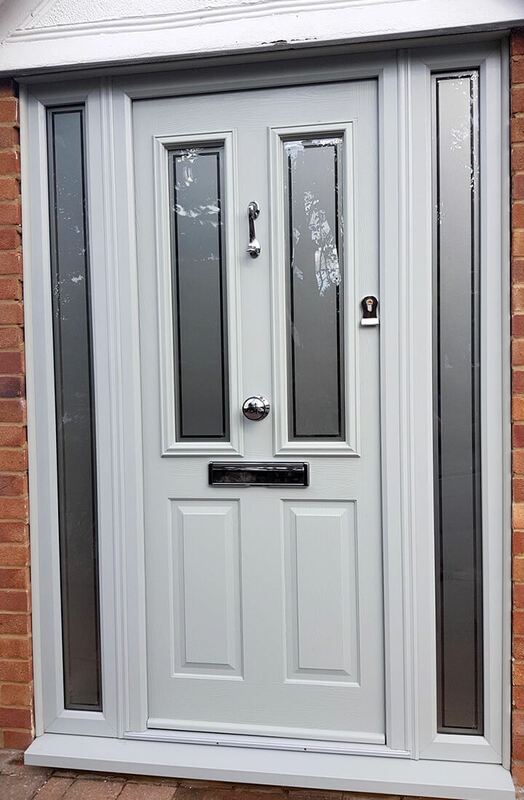 Here at Budget Windows, we use the Solidor composite door, a distinctive feature of which is a solid timber core. Not only does this greatly enhance their insulation capabilities, it ensures the door is incredibly robust. Because timber is a natural product, they’re more eco-friendly than composites with foam cores yet they keep your home just as warm and better protected. Their equally hardwearing exterior is constructed from Glass Reinforced Plastic, a material that offers exceptional damage resistance. 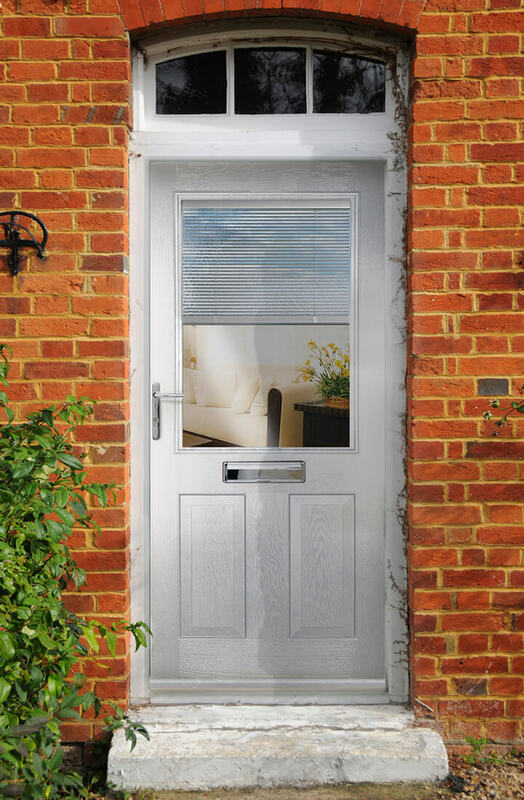 Combining this with the latest Avantis multi-point locks, our composite doors are able to easily withstand the weather, knocks & scratches and any break-in attempts. 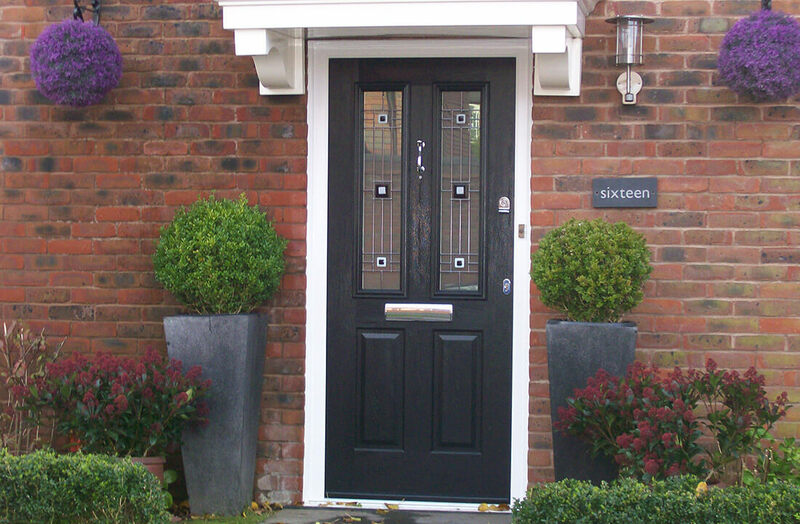 Maximise your home’s visual appeal your way with our composite doors. 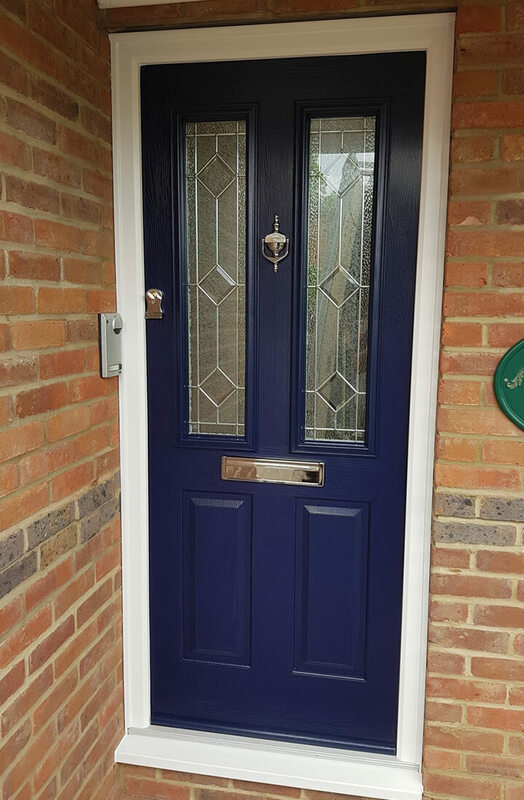 Because they feature a variety of excellent practical qualities, it’s very easy to forget about just how stylish a composite door can be. Although, they’re actually styled beautifully. Their exterior is finished in a selection of stunning woodgrain effects, resulting in an appearance that resembles the natural beauty of timber. This is then combined with a variety of detailed door furniture for a sophisticated looking door. A huge variety of stunning glass designs are available as an optional extra too. Choose from 256 possible combinations of colours as well as a variety of different textures. The spectrum of available colours ranges from highly unique shades, such as Peacock Blue, to more standard door colours such as red or green. If opting for a woodgrain texture, you can easily achieve a traditional look that resembles actual timber. Because there’s so many to choose from, regardless what property you live in, we’re certain we’ve got a shade to suit it. 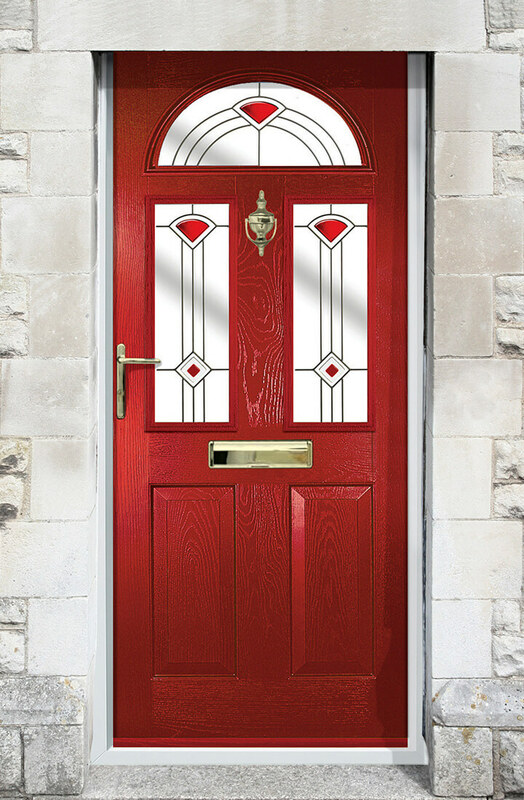 Our composite doors can be dual coloured. A dual coloured composite will have a different colour for the interior and exterior sides of the door. This is a great option for those who are looking to ensure colour compatibility with both the inside and outside of their home. The overall style of the door will have the largest effect on the visual impact of the door. Therefore, it’s important to have plenty of choice so you’re able to achieve the visual impact you desire. Fortunately, we’ve got plenty of styles to choose from so you can do just that. For instance, the Italia collection of our composite doors features designer handles and luxurious glazing designs to complement any contemporary features wonderfully. Conversely, the Conway range can beautifully complement either traditional or modern homes. The London door resembles a design that emerged during the Edwardian era, therefore this style is great for classic properties. We also install the Flint Cottage range, which as you probably guessed, are fantastic options for country cottages. You can alter the furniture of our composites to complete the look of your door. Our range contains both contemporary and modern designs, however feel free to combine the two if that’s what you prefer. Customisable furniture includes the handle, where you can choose from a number of traditional styles, such as cottage and monkey tail, or more contemporary handles, such as lever and slimline. 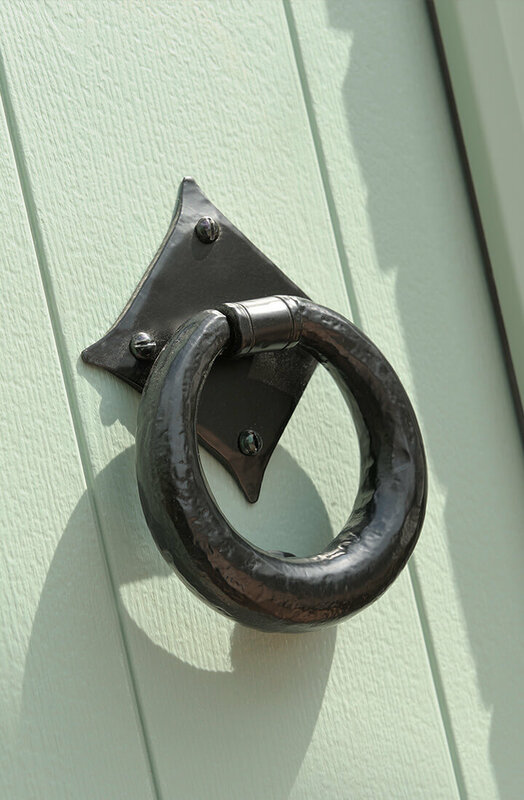 Each handle is also available in a number of finishes, ranging from Black to Chrome. Additionally, we also provide a variety of door knobs, letterplates, door knockers and hinges. Spyholes are also optional, although they are great for determining who is knocking on your door. With such a wide selection of customisable furniture, you can easily adapt them to your liking.